Even as they work longer hours and see greater success in the workforce, working moms still bear the biggest burden at home. It's about time that changes. Jane Steinmetz, the managing principal of the Boston office of Ernst & Young, recalls being in an important meeting with a client when a slew of text messages started coming in on her phone. Steinmetz, the first woman to lead a Big Four accounting firm in Boston, kept focused on the meeting—but the texts weighed on her mind. “I couldn’t lose eye contact with the client and start checking my messages,” Steinmetz says now. But as soon as the meeting ended, she grabbed her phone. Turns out the texts concerned a sleepover one of Steinmetz’s daughters had been invited to attend. A problem had surfaced, and some moms were texting about it. Steinmetz, who’s 49 and the mother of four children between the ages of 10 and 13, laughs as she tells this story — but it points to a serious issue facing working women today. Here is one of Boston’s top female executives, and her family’s primary breadwinner—her husband left his job as a lawyer to be a stay-at-home dad — and yet, when there is slumber party drama, Steinmetz’s phone, not her husband’s, is the one that starts buzzing. 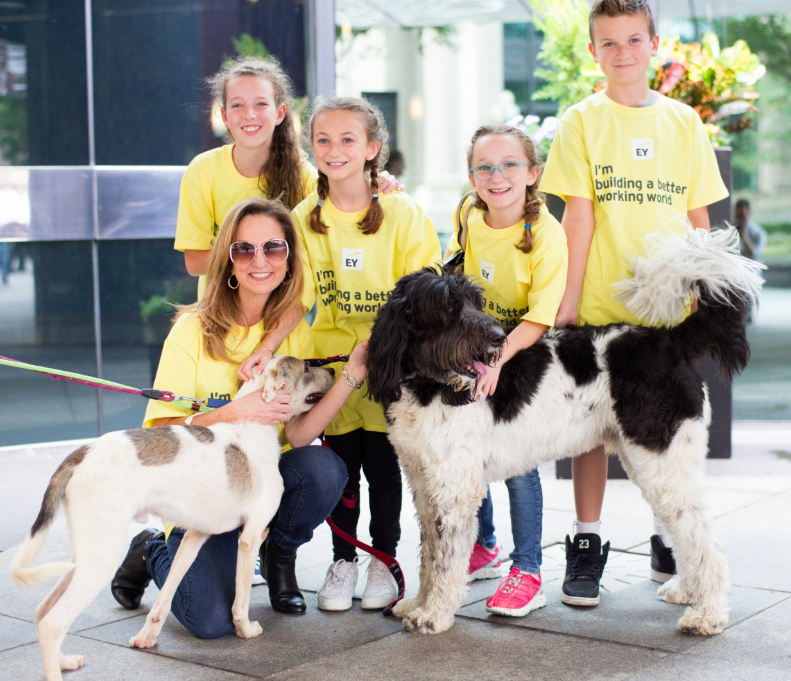 Jane Steinmetz of Ernst & Young with her family. Most working mothers have tales like this. That’s because even when they share the duties of working and raising children with their partners, moms tend to bear far more of the mental load of household and family responsibilities than dads. In addition to working and raising their children, they’re also keeping track of everything from early release days and play dates to carpools and summer camp registration deadlines. The 2017 Modern Family Index, a survey conducted by Bright Horizons Family Solutions, bears this out. It found that working mothers are twice as likely as working fathers to manage the household and three times more likely to take charge of their children’s schedules. And believe it or not, as women’s influence and earning power at work grow, their responsibilities on the homefront and the burden of the mental load of parenting actually increase, rather than decrease. According to the Modern Family Index, women who are primary earners are roughly twice as likely as men to handle all household responsibilities, three times more likely to register their children for afterschool activities, and more than twice as likely to care for children when they’re sick or off from school. And, perhaps not surprisingly, that can take a real toll. When the mental load of parenting falls disproportionately on working mothers, it affects both their professional and personal lives. It can interfere with their daily productivity and their career growth. And, as the Modern Family Index found, it can leave them feeling exhausted: More than half of working mothers say the mental load of parenting is burning them out. 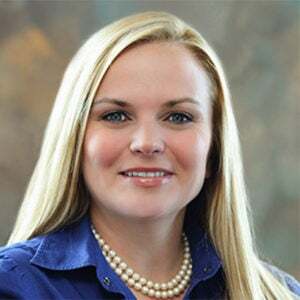 Katherine Craven, chief administrative and financial officer at Babson College, and the mother of five children. Katherine Craven knows about the mental load of parenting. 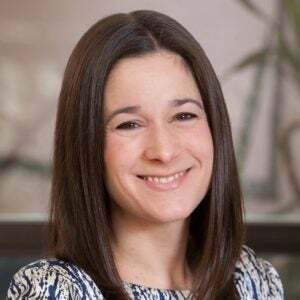 Craven, 45, is the chief administrative and financial officer of Babson College in Wellesley. She’s also the mother of five children 18 and under, including an infant daughter. Craven and her husband both work full-time, but the mental load of parenting rests mainly on her. She handles medical appointments, sports, clubs, church, Russian math classes, SAT tutoring, and college applications. To help manage her mental load, Craven has gotten good at saying no to certain time-consuming commitments for her kids, such as team sports. She likes to exercise but chooses high-intensity workouts that take less time than the 20-mile weekend runs she used to do. She’s also turned down career opportunities that would have required traveling so she can take her son, who has Down syndrome, to his bus stop each morning. “His routine, his whole day, gets thrown off if that doesn’t happen,” she says. Rachel Wilson of Synapse Energy Economics, and the mother of two. Rachel Wilson, 37, an energy consultant at Synapse Energy Economics in Cambridge and the mother of a preschooler and a toddler, faces the mental load of parenting every day. Because her husband’s work schedule is rigid, Wilson is responsible for most of the family logistics, including childcare drop-off and pick-up. But that doesn’t mean working mothers can’t find some relief for that overwhelming feeling, according to some findings in The Modern Family Index. It found, for example, that partners are more than happy to take some of that mental load, if they are just given some guidance. 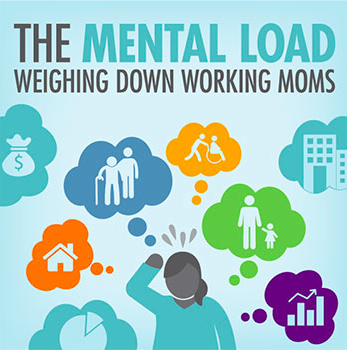 Some companies recognize that helping to solve the mental load problem for working parents can also pay dividends for their business and have put in place programs to support them. The more open mothers are about their needs with their coworkers and managers, the more honest the conversations at work can become. This will hopefully lead to a happier, more respectable work environment for everyone, especially mothers and fathers who don’t want to bring work stress home—or vice versa. A mother and daughter share their experiences of working while raising a family.